If a person has been drinking large amounts of alcohol for prolonged periods of time, alcohol withdrawal symptoms are likely to occur when the drinker attempts to stop or cut back consumption. In severe cases, alcohol withdrawal can be extremely unpleasant, dangerous and even life-threatening. It is not recommended for a heavy daily drinker to abruptly stop consuming alcohol without a detox plan in place. For various reasons, people may prefer to use natural methods to safely detox from alcohol. Depending on the severity of alcohol consumption prior to detox, a medical practitioner will usually prescribe diazepam (Valium), chlordiazepoxide (Librium) or lorazepam (Ativan) to alleviate symptoms of alcohol withdrawal syndrome. In the most serious cases, a medical practitioner will refer a patient to a detox facility to safely withdraw from alcohol. In milder cases, a care provider will administer the medications to the patient in his own home. If using natural methods to home-detox, take a dose of vitamin-B complex, plus a thiamine (vitamin B1) supplement and large doses of vitamin C, selenium, magnesium and zinc. A combination of amino acids or a large dose of L-glutamine will help combat cravings. Milk thistle and alpha lipoic acid supplements can help the liver recover after prolonged alcohol abuse. An over-the-counter sleep remedy such as melatonin or valerian can help with insomnia bought on by alcohol withdrawal. If several hours after taking your last drink, you find you are suffering from shakiness and sweating, and you feel overly anxious or panicky, you are beginning to show signs of alcohol withdrawal syndrome. Alcohol withdrawal will usually start less than 12 hours after the last drink has been taken. However, this will depend on the individual, and symptoms can begin up to 48 hours after drinking. At the onset of symptoms you must quickly decide if you will continue with a home detox or seek medical advice, and take immediate steps to follow your chosen plan. Waiting to act can be very dangerous. Abruptly stopping drinking when you have withdrawal symptoms is not advisable without medication. 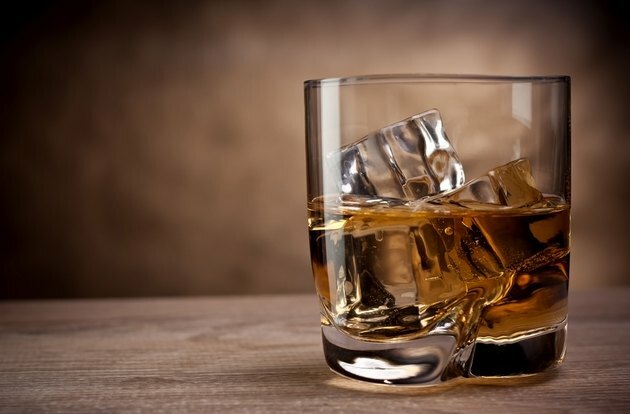 For hundreds of years, long before medications were available, people have successfully used alcohol for alcohol withdrawal symptoms. The optimal drink to use is beer, as anything stronger will likely lead to drunkenness. The idea is to drink small amounts of beer, tapering down gradually until all possibilities of suffering withdrawal symptoms have passed. Usually within 24 to 48 hours the patient is able to stop drinking the beer safely. The amount of beer will depend on each individual. Generally, 12 ounces every hour is a reasonable starting point, then slowly reduce the amount of beer, or increase the amount of time between taking the beer. After three hours, you should be able to safely take only 8 ounces per hour, which can then be reduced to 4 ounces every two or three hours. Combine the beer tapering with your vitamin supplements, and drink plenty of water. Lemon juice added to the water will also help your body detox. Eat only light foods, such as fresh fruits or vegetables, and then only if you feel hungry. Do not force food because you feel you should be eating. Your body has enough to cope with eliminating the alcohol, and it will let you know when it feels ready for food. By eating before your body is ready, you are simply putting more of a burden on overworked organs.